[Word Document of Preliminary Shifting Frontiers Schedule] : Please Note that this schedule is subject to change. 6:30 Opening Night Reception hosted by the UIOWA Digital Studio after the lecture at the Capitol Centre. 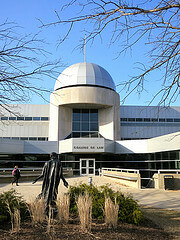 Location: Levitt Auditorium, College of Law, University of Iowa. Introduction and Panegyric by Carlos Galvão-Sobrinho (University of Wisconsin-Milwaukee). 12:30 Sessions adjourned. Thank you for attending! Most panels for Shifting Frontiers in Late Antiquity will be held at Levitt Auditorium (Room 295) at the University of Iowa College of Law.